It seems like not a week goes by these days without some blog or other boldly proclaiming ‘SEO is dead’. If you’ve heard these rumours of its demise then you may well be wondering why you should invest your hard-earned money in SEO copywriting for your website. But just how much truth is there in these headline grabbing proclamations? In a 2012 article on Forbes, entitled ‘The Death of SEO’, Ken Krogue asserted that, “by definition search engine optimisation means to ‘game’ the Google search engines (and others) to get your valuable content ranked higher than it would be if left alone to the forces of the Web.” But surely if the search engines are constantly tweaking their algorithms to deliver more relevant quality content to users, and SEO copywriters and others are matching the search engines’ efforts, that can only be a good thing? The fact is SEO copywriting isn’t dead, it’s simply evolving. Two of the biggest changes to search in the past couple of years have been Google’s Panda and Penguin updates. These updates rewarded content with substance and value, while at the same penalising poor quality content with little relevance or worth. This in turn led to the rise of ‘content marketing’. Content marketing refers to the creation of high quality content relevant to your business, and its dissemination over the internet via your own website and other external locations (blogs, social media etc.) The focus is on providing value to users, in a bid to convert them into customers. 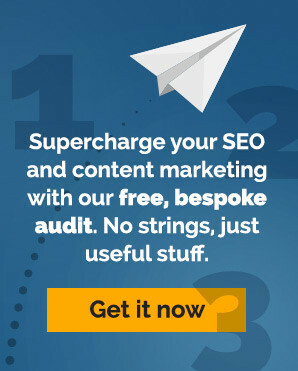 Some people have even gone as far as to say that content marketing has taken over from SEO copywriting. We don’t believe that is the case, in fact we believe that they’re the same thing. Content marketing revolves around creating content that people are interested in. SEO copywriting revolves around creating content that people are searching for. Surely these are the same thing? Similarly, people (and the search engines) are looking for content that is relevant to what they are searching for, and that’s where keywords/ phrases come in. In content marketing it is to be expected that certain words and phrases pop up again and again, and this is one of the key factors that search engines look for when determining relevancy. When an SEO copywriter creates content that is relevant to people’s interests, they naturally demonstrate relevancy to the search engines, and content marketing also relies upon publishing an abundance of material online in order to draw traffic. SEO copywriting likewise demands high frequencies of content creation in order to demonstrate that a website is current and up-to-date. Finally, above all, any SEO content created these days needs to be of a high quality and written in a useful way, particularly if you want it to hit the top spot in the search engine results pages SERPs). As a happy coincidence, that’s what web users are. As you can see, the sun is far from setting on SEO copywriters, who instead find themselves amidst a new dawn in the age of content marketing.